Can you help support The Swindon Food Collective? The Swindon Food Collective was formed by the previous volunteers of the Swindon Foodbank after the charity running it, Swindon Christian Community Projects, closed in June 2018. 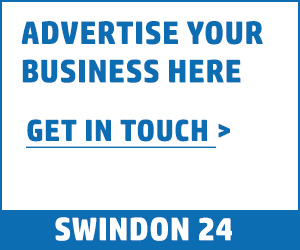 The Swindon Food Collective is offering local businesses the opportunity to declare their support for our work by having their logo displayed on either of our two vans. The vans can be seen on the roads throughout the Borough and beyond and are used every day Monday to Friday and often at the weekends when Swindon Food Collective operates a supermarket collection. Clare Collier, director says: “We are completely dependent on the generosity of local people as volunteers, donors of food and funds to ensure that we can continue to annually help over 5,000 people who find themselves in such a tough financial situation that they cannot put a meal on the table for their family”. Anyone wishing to support the Swindon Food Collective in this way is asked to contact the manager, Cher Smith on: 07932 108 732 or via e-mail: [email protected]. You can find out more information also at http://www.swindonfoodcollective.org.